If you have a Medicare Advantage plan, you’re in luck if you travel as some of these plans pay for medical treatment while in foreign countries. Traditionally, Medicare coverage is not available outside of the United States if you have Part A and Part B, but since Medicare Advantage is managed by private healthcare carriers, you may be eligible to have all of your costs taken care of if you need to see a doctor or visit a hospital while not in the US or US territories. So how do you know if you are able to travel with Medicare Advantage coverage? This guide gives you a closer look at how Medicare works when traveling outside of the US. One of the biggest benefits for anyone with Medicare Advantage is that they can travel and still be seen by a doctor or receive emergency care if something were to happen on their trip. Since retirees often travel, it’s difficult to do so if you only have Original Medicare, which is just Part A and Part B. Some Medicare Advantage plans provide coverage benefits for all health care needs when enrollees go outside of the United States, but it’s best to check with your health insurance company first. Original Medicare coverage for enrolled travelers is limited. While there are some instances where you can receive medical treatment, the instances of the usage being viable is very small. There are actually only three ways that you may receive care outside of the United States if you have Medicare and need to see a doctor while traveling. You’re in the US when you have a medical emergency, but a foreign hospital is closer than the nearest US hospital that is able to treat your illness or injury. you are traveling in Canada with unreasonable delay by most direct route between Alaska and another state when a medical emergency happens. If a Canadian hospital is closer than a US hospital, that hospital can treat your illness or injury. Medicare will determine what “unreasonable delay” means on a case-by-case basis. You live in the US but a foreign hospital is closer to your home than the nearest US hospital and can treat your medical condition, regardless of whether it is an emergency. One thing to remember is that if you do encounter these situations, Medicare only pays for the Medicare-covered services that you receive in a foreign hospital. Does Medicare Advantage Have Limitations on Travel? If you get a Medicare Advantage plan, then your plan doesn’t always cover medical services while traveling outside of the United States. It depends on what kind of plan you signed up and how long you travel for. It also depends on where you travel and the kind of care that you need while you are traveling. One thing is certain that if you travel outside of a Medicare Advantage plan’s service are for more than six months, you will likely be disenrolled. Medicare Advantage plans have service areas that are based on the region of where you originally signed up for Medicare. This means that even if you are traveling in the United States, you may be disenrolled from a Medicare Advantage plan unless you notify that you are changing geographic locations. This simply places you in Original Medicare if you are disenrolled from your plan. You also receive a Special Enrollment Period to join a new Medicare Advantage plan if you are disenrolled based on your new geographic location. Of course, not all plans have that policy to disenroll their members. You will receive notification if that is the case from your healthcare carrier. Some plans also include benefits to allow people to stay on a plan even if they are traveling long-term. If you are planning to travel for an extended period of time or if you know that you don’t have coverage through Medicare or Medicare Advantage, then it’s best to purchase a travel health insurance policy to go with you on your stay. these are supplemental coverage policies that will provide for your medical care if you need to see a doctor or visit a hospital while traveling outside of the US. In some cases, you can find Medigap policies for those with Medicare that will allow you to travel outside of the United States and still get coverage. A Medigap policy pays for the costs that Original Medicare plans do not cover. Medigap is not available if you are enrolled in a Medicare Advantage Plan. Do I Still Have Coverage When I Return to US? If you are traveling outside of the United States for an extended period of time, you may be disenrolled from your Medicare Advantage plan and placed back into Original Medicare. When this happens, you will receive a notification, and you will continue to pay the Part B premium. If you drop Part B and do not pay for your Medicare, then you will have to pay an enrollment penalty when you come back to the United States. Premiums are set to increase each year by 10 percent when not enrolled in Part B. It’s important that you continue to maintain your health insurance even if you decide to travel for longer periods of time outside of the United States. 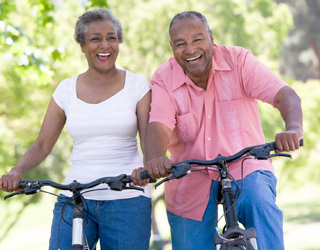 Medicare Advantage plans are a great option if you plan to travel. If you want to switch to a Medicare Advantage plan for your trip, you just need to go to Medicare.gov or you can use our tools on MedicarePartC.com to find a plan that’s right for your budget and medical needs. As always, you should carefully look at the plan before purchasing to ensure that it will cover you for what you need especially for when you go on vacation outside of the United States.